If you haven’t, you are in luck! 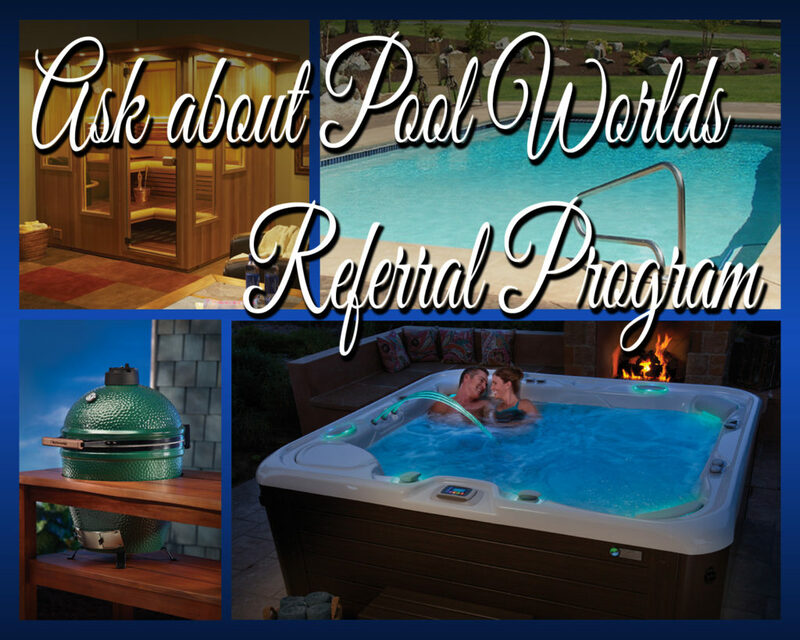 If you are a pool, hot tub, sauna, or barbecue owner and purchased it from Pool World then you have the ability to receive a FREE reward for referring a family or friend to us! This is how the referral program works. If your friend comes in and purchases a hot tub, sauna, pool or barbecue and says that you sent them in, they will receive a reward and so will you! It’s awesome! Pool, hot tub and sauna owners will receive a $100 Pool World gift card for in store credit. OR, if you are a barbecue or grill owner, you will receive a free bag of Big Green Egg Charcoal or Traeger Pellets. What a deal! If you want to see which Pool World products would be a good fit for you or your friend’s lifestyle, please visit other pages on our website.